Although limited range disqualifies it as an option for some drivers, the Nissan Leaf is the first all-electric car for the masses. The EPA says the Leaf will deliver 73 miles per charge and the equivalent of 99 miles per gallon, while offering 4-door room for five and after-tax-incentive pricing in the ballpark of the average new car. Love driving it but feel limited. 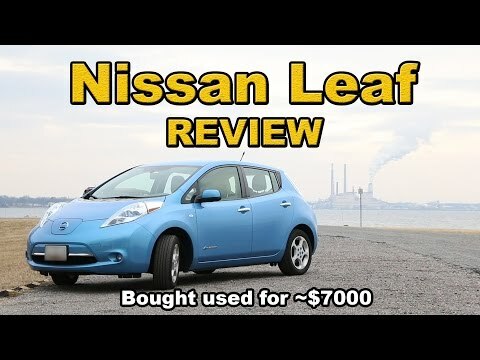 I absolutely love the Nissan leaf. The ease of driving it and it feels like a regular car without having to worry about stopping for gas. It can be a pain having to limit where you go based on miles away but not a big deal if it is not your only car. I have two children 3 and under and they are comfortable in it but the trunk is not very big for strollers and such. Only other complaint is that using heat or air takes battery so if you use it you cannot go as far. The best(efficient) car that I have owned in fifty-two years! The leaf is by far the best car that I have ever owned. First, it is electric. Secondly it has all the modern technology for 2018. Thirdly, it is dependable. I have never had any mechanical problems since purchasing the car on Nov. 04, 2016. Lastly, I have not bought gas since Nov. 04, 2016. In closing it is most economical I have ever owned. I love my 100% electric car! I love my car because it does not use gas and never needs an oil change. It is very reliable and low maintenance although I cannot use it for long trips. It is very quiet and comfortable. It is an all electric Nissan leaf. I have owned it for 6 1/2 years and only needed the tires rotated and new windshield wipers.